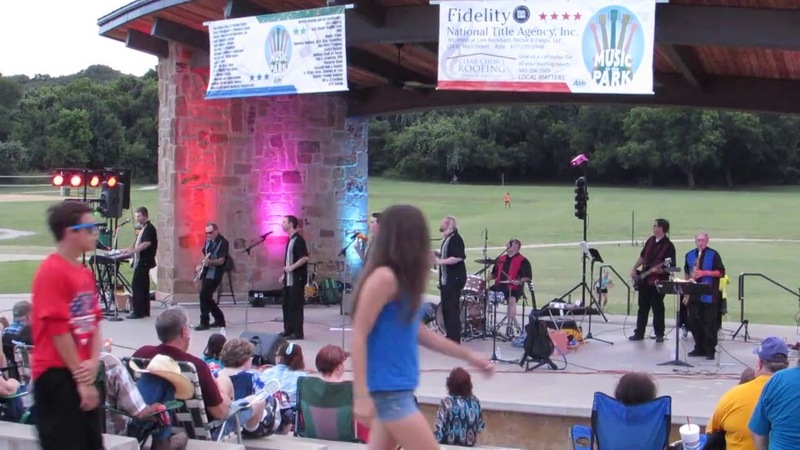 4 Ever Young performs the Beach Boys' "Barbara Ann"
4 Ever Young is an exciting a cappella group from the Dallas/Fort Worth Metroplex which specializes in 50s and 60s style Rock-n-Roll music. They pay tribute to those fabulous doo-wop vocal groups from that era with the sweetest 4-part close harmony this side of the Brooklyn Bridge. The group's repertoire consists of Rock-n-Roll classics, all arranged by the group in its own unique style. For events that require a full 50s/60s band experience, the singers are joined by their band and known as 4 Ever Young and the Reflections. Adding guitar, saxophone, drums, bass guitar, rhythm guitar, keyboards, and percussion to the rich 4-part vocals produces a sound that will knock your bobby socks off! The quartet did an awesome job performing during our office party. Thanks for presentation and relevant song selection. They guys showed up at the expected time and immediately discussed the details with me. They went to work getting set up and needed no other instructions or help. The show for our party was fantastic and they were good at engaging the guests. I would certainly recommend them for anyone's 1950's themed event. Best Doo Wop you will find. Don't look any further! 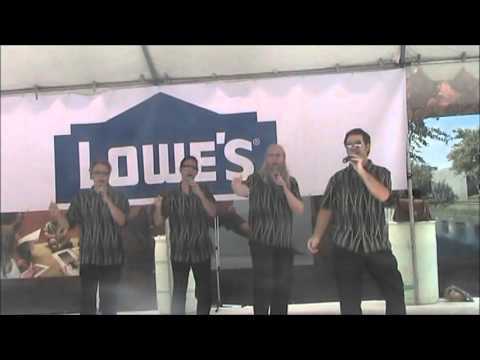 Excellent Doo Wop with the close harmony of barbershoppers. Very entertaining for all ages. 4Ever Young performed for our ladies organization, members ages 50 and better. Through their wide repertoire of songs, they tailored the music for our group and interacted with the audience to create a true Blast From The Past. Great harmony and broad vocal range. Top quality presentation and showmanship. Very accommodating. A great pleasure working with this professional, gracious and talented group. Quality entertainment at a fair price. 4 Ever Young brought the house down at my wedding! They entertained as guests arrived and during cocktail hour. They were very easy and professional to work with and took time to practice my favorites from their song lists. They are very talented and our guests were super impressed and entertained!! Book them! You won't be disappointed! We hired 4 Ever Young to perform at our parents' 50th wedding anniversary party. They accommodated every request we had, even going above and beyond to set up early and learn a special song! Our parents and their guests were blown away by their song choices and professionalism. They worked the crowd and even gave our dad a starring role in a song! Our mom said "her cheeks hurt from smiling so much"! Our parents were so pleased, they asked the group to sign their momento frame and asked the group to pose for pictures with them. We would recommend and hire 4 Ever Young for such a gathering again in a heartbeat! Our performances include lots of classic oldies from the doo-wop era, and a couple of songs with the lyrics updated to reflect modern times. We're happy to tailor our sets to the customers' needs, and our wireless mics allow us to bring our show into the audience. 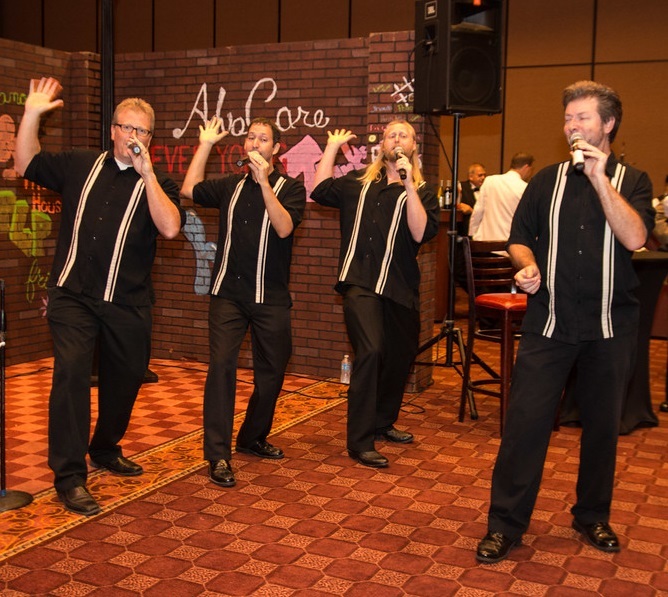 Whether performing as a four-man a cappella group or an 8-piece band (four singers and four instrumentalists), we are prepared to provide all our own microphones, speakers, and other sound equipment to provide everything you need for an exciting show. 4 Ever Young is available for Sock Hops, Concerts, Car Shows, Parties, Clubs, Corporate Engagements, and more. Your audience will enjoy songs like "In the Still of the Night," "Charlie Brown," "Blue Moon," "Goodnight Sweetheart," "409," all performed with no instruments, only the purity of the human voice, in the true spirit of those street corner groups from the early days of Rock-N-Roll in the 50s and 60s. For events that require a full 50s/60s band experience, the singers are joined by their band and known as 4 Ever Young and the Reflections. Adding guitar, saxophone, drums, bass guitar, rhythm guitar, keyboards, and percussion to the rich 4-part vocals produces a sound that will knock your bobby socks off! 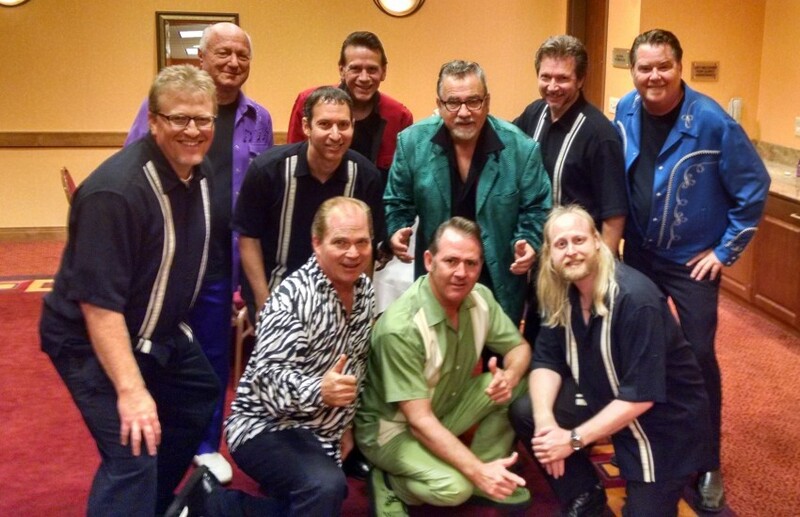 With the band, the group can expand their repertoire and perform the hits of Elvis Presley, Frankie Valli and the Four Seasons, Chubby Checker, Frankie Valens, Dion and the Belmonts, and many more. We have all our own equipment. All you need to supply is an outlet -- we'll take care of the rest! We can set up and tear down in 15 minutes, tops. Influences include The Beach Boys, The Coasters, The Tokens, The Five Satins, and The Temptations.